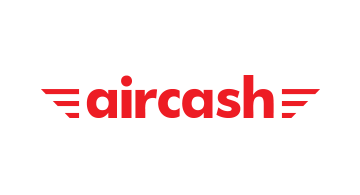 Aircash solves problem of underbanked people, people who are not keen to use credit cards for internet payments, people who don't use mobile banking. In the EU, more than 40% of the microtransactions (less than 500 USD) are done in cash. Similar ratio is in the US. Aircash is easily integrated with a point of sales (in CEE with the biggest gas station chains and convenience stores chain), on the API basis. Users use Aircash app to register (to manage KYC/AML issues) and to initiate transactions. They go to the point of sales and show a code to a cashier who scans a code from the display, or do contactless if possible. User makes a cash deposit or cash withdraw. The whole process lasts around 10 seconds. Aircash is also focused on a B2C and C2B segment. It is integrated with online business providers as lotteriers, telecom operators, ticketing providers etc. Via Aircach, users can pay for digital goods, top-up their online accounts, or opposite, make a cash-outs from lottery winnings.